An almost perfect single-board computer that marries great hardware with a lively and supportive community. Keeping the hardware and software backwards compatible will please tinkerers around the world. When the Raspberry Pi appeared In 2012 few could have envisaged how popular the Raspberry Pi would be. 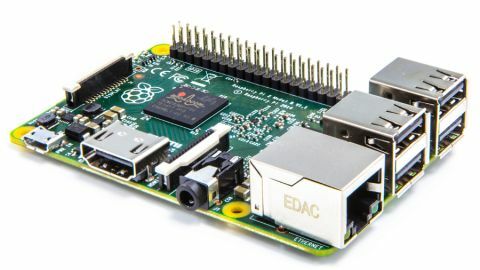 In the years after its release the Raspberry Pi has become the most popular single-board computer on the market and spawned many imitators, but none with the rich community that has grown organically around the Raspberry Pi. The latest single-board computer from the Raspberry Pi Foundation comes with the spec boost that we were all hoping for. The Raspberry Pi 2 is the latest in a long line of products from the Foundation and can run a number of Linux distros (and even Windows 10). It really is a barebone board in every sense -- even to the point where you will have to find your own micro-USB cable to power it up (a move made to cut down on costs). All things considered, the Raspberry Pi 2 really is amazing value at just £25 ($33, or AUS$45). It may be affordable, but this sequel packs a punch in the power department and has the potential to be used in a wide number of scenarios, including videogame emulation. Raspberry Pi CEO Eben Upton told TechRadar at the Pi 2's launch that he would love to see Amiga game emulation on the micro-computer. Since the release of the original Raspberry Pi there have been three versions of the flagship B model, starting at 256MB RAM and increasing to 512MB with the second B and B+. But in all of these models the system on a chip (SoC) has remained the trusty BCM2835 with an ARM v11 700Mhz CPU, the same as the Now TV box. The community has done wonderful things with these resources but now the spec boost that they were waiting for has arrived. In early February, the Raspberry Pi 2 arrived and the original ARM11 has been replaced with a Cortex-A5 CPU running at an improved 800MHz. But rather than stick with a single core, the Raspberry Pi 2 comes with four cores which speeds up the Raspberry Pi by as much as six times. To go with the new CPU, the amount of RAM has also been upgraded to 1GB. The rest of the hardware, however, matches that of the B+: a Videocore GPU, a 40-pin GPIO, four USB 2 ports and 10/100 Ethernet. Physically the Raspberry Pi 2 also has the same dimensions as the B+. To show the improvements made to the Raspberry Pi 2, we wanted to run a few real-world benchmarks to show how powerful the new Pi actually is when compared to the B+. The first test on our list is booting both Pis from cold to login prompt. The B+ managed this is in 33 seconds versus 17 seconds for the Raspberry Pi 2. We then set both Pis to boot straight to desktop and the B+ managed 42 seconds while the Pi 2 came in at 21 seconds -- half the time of the B+! Once at the desktop we tested a few common applications. Creating a new world in Minecraft took 42 seconds on the B+, and 21 seconds on the Pi 2. Loading IDLE 3 took 13 seconds on the B+ and a mere 4 seconds on the Pi 2. Running SunSpider in the new optimised browser gave a glimpse at real-world performance. Over the suite of tests there was a 2.5 times boost in speed. Considering the complexities of multi-threading this sounds like a reasonable expectation. Even so, individual results showed a near four-fold increase on this unoptimised code. The Raspberry Pi B+ and Pi 2 both come with the same Videocore GPU as before and in our tests there was a small improvement in FPS (Frames Per Second) for the Raspberry Pi 2 largely thanks to the increased RAM present on the board. Our last test was file transfer speeds via Ethernet, for this we used scp to copy a 692MB Big Buck Bunny video file to each Pi. On the B+ we saw an average of 3.8MB/s and on the Pi 2 we saw 4.6MB/s, which is an 0.8MB/s speed increase. To discover for ourselves how Upton arrived at his claim that the Raspberry Pi 2 is six times more powerful than its predecessor, we ran a Sysbench test on both models. It clocked in at 509.58 on the B+, versus 74.68 on the Raspberry Pi 2 -- a 6.8x difference in favour of the newer model. The Raspberry Pi Foundation have released an updated Raspbian image which includes the ARMv7 kernel image necessary to use the new CPU. Applications written for the original Raspberry Pi are fully compatible with the Raspberry Pi 2, though -- building upon the rich projects that have been written since the initial launch of the Raspberry Pi. The Raspberry Pi 2 is less than half the cost of a PS4 or Xbox One game but, given the time and effort, could provide far more satisfaction in the long run. Available since December, the new sleek Raspbian desktop runs well on the B+, but on the Pi 2, it feels like a responsive desktop that we normally see on our main computers. The speed increase provided by the quad-core CPU and 1GB RAM is more than welcome, and retaining the B+ form factor keeps a strong tie to the many existing add-ons. It is a powerful platform for hackers and makers and also a competent solution for a low-cost computer in schools and homes around the world. It should be noted that the Raspberry Pi 2 may prove a little daunting to newcomers -- particularly ones that have not come across Linux before, but there are plenty of resources out there to help you on your way. You'll have to grab yourself a micro-USB cable to get started, but they're fairly ubiquitous and can be had for next to nothing. The Raspberry Pi 2 answers a lot of the requests made by the community and provides a stable and well-supported platform for hackers, makers and learners to carry on making excellent projects for many years to come.